Children's book series encourage reading by allowing children to get to know favorite characters over an entire series of books or stories. There are many classic and modern book series for children that will engage your kids. Whether the series is reasonably new or a beloved classic, these book series will entice children into the joys of reading. Babies like to look at pictures. Reading to babies also helps them develop a love for reading and stories. Read some of these gentle series with your babies. World of Eric Carle Series: These picture books feature bright illustrations and simple stories about critters in nature written by award-winning children's author and illustrator, Eric Carle. Little Critter Series: Bestselling, and award-winning children's author Mercer Mayer created the Little Critter, a small, fuzzy mammal of unknown species, in 1979. The books have been tremendously popular since then. 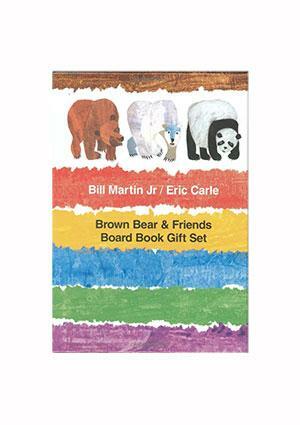 Brown Bear and Friends Series: After creating the best-selling Brown Bear, Brown Bear, What Do You See? Bill Martin teamed with Eric Carle and created a series of beautifully-illustrated books for young children featuring similar animals including polar bears and pandas. Rainbow Fish Series: Marcus Pfister created the underwater world of Rainbow Fish, with six books in the series. The series was also made into an HBO cartoon of the same name. Winnie-the-Pooh: A.A. Milne's classic character is so beloved he and his friends in the 100 Acre Wood have starred in many Disney movies and cartoons. These whimsical classics are wonderful for children of all ages. Toddler and preschool children need read aloud books with simple themes. These book series are perfect for children ages three and four. Fancy Nancy: Written by Jane O'Connor and illustrated by Robin Preiss Glasser, Fancy Nancy is a picture book series following the adventures of the ultimate girly girl, Nancy. The original book in the series was a New York Times Bestseller for almost 100 weeks. Skippyjon Jones: Judith Byron Schachner began publishing the Skippyjon Jones picture books in 2003 about a Siamese cat that looks like a Chihuahua. Skippyjon Jones has won multiple awards including a 2004 E.B. White Read Aloud award. Angelina Ballerina: This popular series of children's books by Katharine Holabird and Helen Craig feature a mouse living in Chipping Cheddar. The popularity of the books also spawned a PBS animated series of the same name. Madeline: The Madeline books have been a beloved children's classics since the first one was published in 1939. The original series was written by Ludwig Bemelmans, and his grandson continues writing them. The books have been so popular they have been made into a movie, a television series, and a live action play. 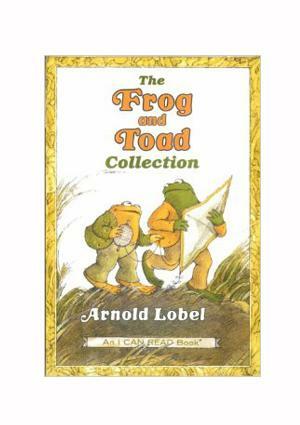 Frog and Toad: Arnold Lobel's collection of picture books chronicle the friendship between Toad and Frog. The first book, Frog and Toad Are Friends won a Caldecott Honor Award in 1971. Mrs. Piggle Wiggle: Betty MacDonald first created this well-loved children's book character in 1947, and many books followed. The character has been so enduring, it was made into a musical and a 1990s television series. Olivia: Ian Falconer's fictional piglet stars in a series of books and animated television shows that have won multiple awards including a Caldecott Honor and a Parents' Choice Award. In elementary school, children need books they can read themselves, as well as books parents read aloud. Below are some of the best book series for children in kindergarten through second grade. Junie B. Jones: Author Barbara Parks chronicles the hilarious misadventures of her protagonist, Junie B. Jones as she enters kindergarten and moves on to first grade. The books have won a few awards including, the Children's' Choice Awards and the Parents' Choice Awards. 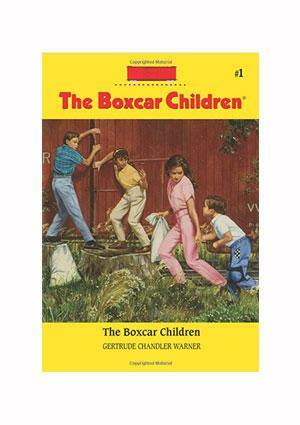 Boxcar Children Mysteries: Gertrude Chandler Warner originally created the Boxcar Children in 1924. The original book is a National Educators Association Teachers' Top 100 Books for Children. Since the original, Warner wrote another 19 books, and other authors continue the franchise writing books with the same characters in today's world. Magic School Bus: Children will not only enjoy the stories contained in this series, they'll also learn something about science in these educational books. Ms. Frizzle and her class of pupils travel on a magic school bus to field trips in outer space and many other places they wouldn't be able to go without magic. The books have also led to an animated PBS television series of the same name. Judy Moody: Megan McDonald's character is a moody young girl who stars in a very popular series of books. The author won the 2003 Garden State Children's Book Award for Younger Fiction for the first book in the series. Pippi Longstocking: Author Astrid Lindgren released her character, Pippi Longstocking, on the world in 1945. Pippi was an instant hit. Since then, the books have been adapted into multiple formats, including an episode of Shirley Temple's Storybook and an animated series. In third and fourth grade, children are ready to tackle longer books with more complex topics. These book series fit the bill. Little House: This autobiographical series about Laura Ingalls Wilder's life in the late 19th and early 20th century Midwest has themes today's child can appreciate: love, family, hard work and humor. The books have received many awards, including an American Library Association Notable Children's Book and a Lewis Carroll Shelf Award. The Spiderwick Chronicles: Five books tell the fantastic story of twins Jared and Simon, along with their older sister Mallory. They meet fairies, brownies and goblins in their quest to save the world from an evil ogre. Books in the series have been on both the New York Times and the USA Today Bestseller Lists. The Hardy Boys: Well before Scooby Doo and the Mystery, Inc. gang hit the scene, Frank and Joe Hardy, brothers and amateur detectives, were busy cracking mystery cases. 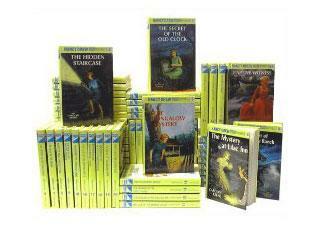 Generations of children have enjoyed the Hardy Boys since they first appeared in 1927. The books have been adapted into television series and video games. Nancy Drew: This girl detective has been solving mysteries for decades. Her sleuthing skills are suitable for young readers from ages nine and up. The girl detective has been around since 1930, and her books remain popular today. Baby-Sitters Club: They're 13 years-old and they're in the babysitting business. Follow the adventures of these middle school characters who share common conflicts and problems of real girls their age. These books sold 170 million copies. The 39 Clues: Several authors penned these books about siblings Dan and Amy Cahill, who are searching for thirty-nine clues scattered all over the world in order to meet a challenge in their grandmother's will. Along with following the brother and sister duo around the globe, readers learn a lot about history, as historical figures feature prominently in the series. The series has been on multiple bestseller lists including New York Times, Publisher's Weekly, and Wall Street Journal. Captain Underpants: When George and Harold accidentally hypnotize their principal, he turns into the superhero Captain Underpants. The humor of these books appeals particularly to boys. Dreamworks has obtained the rights to these Dav Pilkey books to make a movie. The Ramona Collection: Beverly Cleary's character, Ramona, has been popular since 1955. Books in the series have been named Newberry Honor Books. The characters have also been adapted into the movie, Ramona and Beezus. Percy Jackson and the Olympians: Rick Riordan created the character Percy Jackson, a 12-year-old boy with dyslexia and ADHD who learns he is a demigod. The Lightning Thief was named the School Library Journal Best Book of 2005. 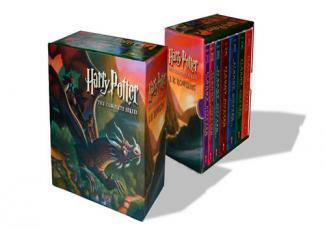 Two of the books in the series have been adapted into movies. Harry Potter: A boy wizard and his magical adventures at Hogwarts School of Witchcraft and Wizardry made for seven of the most best-selling books of all time. In addition, all of the books have been or are in the process of being translated to film. The books have also won multiple awards. The Chronicles of Narnia: Besides a story about a lion, a witch and a wardrobe, these chronicles follow the lives of the four Pevensie siblings through seven books that delve into tales full of magic, good vs. evil and nail-biting battles. The books have sold over 100 million copies and been adapted into movies. Diary of a Teenage Girl: This book series covers different characters, but all the stories are targeted to a young adult, Christian audience. The series depicts how the characters rely on their religious faith to help them through difficulties. The series has sold more than 300,000 copies. Goosebumps: Kids who can't get enough of spooky stories will find much to love in this series from R.L. Stine. Chills combined with comedy make this a successful franchise for children ages 9 to 12. The series is tremendously popular, and once topped several bestseller lists, include the New York Times, Publisher's Weekly and USA Today. Fear Street: Once kids outgrow Goosebumps, they may enjoy this scary series from the same author. 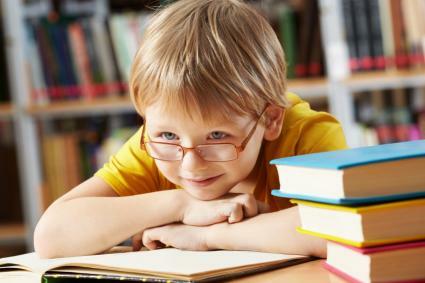 These books are targeted to children older than the preteen set, and they range in subject matter from murder mysteries to supernatural thrillers. While the books are for slightly older kids (ages 12 and up), the series has sold more than 80 million copies. Artemis Fowl: A series that will appeal to preteens and teens, Artemis Fowl is a teenage criminal mastermind who's not above breaking the law to meet his goals. The eight books in this series by Eoin Colfer have received great critical acclaim and are tremendously popular. Sisters Grimm: This series of New York Times Bestsellers by Michael Buckley follows the adventures of Sabrina and Daphne Grimm. The books are fantasy adventure, and there are nine in the series. A Series of Unfortunate Events: These award-winning books by Lemony Snickett follow the lives of three recently orphaned siblings. There are 13 books in the series. Anne of Green Gables: Lucy Maude Montgomery wrote Anne of Green Gables in 1908. It told the story of the orphaned Anne Shirley. Subsequent books followed Anne's life, and the lives of her children. The series is considered are considered classics today, with Anne of Green Gables chosen as one of Great Britain's top 100 favorite books of all time. Once your child discovers a series of books they love, consider book swaps with friends and schoolmates, as well as plenty of library trips, to read the books without having to purchase every title (which can put a dent in your budget). Finding a new series is always a treasure because kids know they'll have at least a handful of books to carry them to other worlds full of literary excitement.